The physical, social and moral condition of people living in the slum areas around London Bridge in the Borough of Southwark in the late 1800s caused public concern. 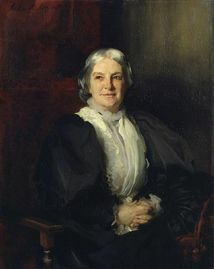 Octavia Hill was one of the people actively engaged in promoting schemes to tackle the social problems of the period. In 1889 Hill created the Southwark detachment of the Army Cadet Force, its first independent unit, which gave training along military lines for local boys. “to help socialise some urban youths”. She invited a serving officer of the Derbyshire Regiment to set up the company, and such was its popularity that its numbers had to be capped at 160 cadets. Col. L.W. Bennett, a former pupil of Sherborne School, was a founder member of the Southwark detachment. He was later Chairman of the London Cadet Committee and became the first Warden of Sherborne House. In 1921 Sherborne School adopted the Corps which was renamed “The Southwark Cadet Corps and Sherborne House Boys Club.” At that time the corps was based in 31 Union Street Southwark. In 1955 the Yapp Foundation renovated and gave the freehold of 34 Decima Street to the Boys Club. William Johnston Yapp (http://www.yappcharitabletrust.org.uk) was a Sussex-based cigarette manufacturer (of Carreras cigarettes) and a philanthropist during his lifetime. His neo-Egyptian Art Deco factory, inspired by the opening of Tutankhamun’s tomb and fronted by two huge black cats, is still a feature of Mornington Crescent in Camden Town. He was praised at the time for providing air-conditioning and medical facilities for his workers. Throughout his life William Yapp was interested in the advancement of knowledge. In 1934 he gifted £15,000 to the Greenwich Observatory to build a state of the art telescope. The 36” Yapp Reflector can now be seen in Dome B at the Observatory Science Centre in Herstmonceux, East Sussex. In 1957 it was decided to change from an army to a Marine Cadet Unit and about the same time the name was shortened to “Sherborne House Boys Club”. In the 1960s the members of the Marine cadet Unit paid several annual visits to Sherborne School, where they were billeted in the boarding houses and took part in parades and exercises with the School Combined Cadet Force (CCF). Some former pupils of the School were also active in working with the Cadet Unit in Decima Street. In the early 1970s support in Southwark for the Cadet unit waned and under the Chairmanship of Judge John Streeter, Sherborne House Boys Club granted a lease on 34 Decima Street to the Inner London Probation Service (ILPS) at a peppercorn rent. The condition of the tenancy was that the building should be used as a base for developing alternatives to custodial sentences for persistent young offenders. The Trustees of Sherborne House had regular meetings with the ILPS throughout this period raising funds from former pupils of Sherborne School to support the work of the ILPS in developing new programmes. Most notably in the mid 1980s the Trustees raised the funds needed to convert and equip the considerable roof space into workshops and a recording studio. The ILPS occupied 34 Decima Street for 30 years until 2003. Much good work was done and “Sherborne House” became world famous for innovative programmes for Young Offenders that were pioneered there. The Home Secretaries of successive Governments visited the centre as well as HRH The Prince of Wales and representatives from many overseas countries. After the ILPS gave notice that they no longer needed the building the Trustees of Sherborne House reviewed their options, which included selling the building. They decided to see if a new tenant could be found that wanted to continue the tradition of work with young people, preferably in innovative ways. Invitations to apply for a tenancy were advertised in the press and Kids Company was chosen from a shortlist of nine organisations. Kids Company used the building to establish an Urban Academy to develop and deliver innovative educational programmes to some of the children that they supported whose formal education has been severely fractured. The work of the Academy was subject to frequent external scrutiny to assess its impact and effectiveness, one of the most recent is a report by the London School of Economics which found that the Academy was underestimating its own effectiveness. Sadly Kids Company Urban Academy operations at Decima Street ended with the closure of the charity in 2015. In the Summer of 2016 we were able to announce the news that we had selected a new tenant for Sherborne House. Depaul will use the building to provide a range of services to young people throughout London, including as a base for its Nightstop programme for young homeless (uk.depaulcharity.org.) As well as being encouraged by the value and importance of DePaul’s work, the trustees were impressed by its ambitious plans for Sherborne House. These include a substantial investment in redevelopment - opening up the building, making the most of all of the space and offering some innovative services. The redevelopment work started in September 2016 and the official opening took place in May 2017. The name of “Sherborne House Boys Club” was changed to “Sherborne in the Community” to reflect its wider engagement in the current issues of the day. SITC continues to benefit from the generosity of former pupils of Sherborne School to support and maintain the building in Decima Street. When funds permit the Trustees may make grants to other charities working in Inner London to improve the condition of children and young people.